The objective of going to a Japanese “kissaten”　(tea/coffee house) or a “cafe” is basically the same – to go to drink a cup of tea or a cup of coffee. However, there is something different. In Japanese “kissatens” of course, they are particular about how their tea and coffee tastes, but they also pay particular attention to the eating and drinking utensils and the décor of the shop. They often have a very retro and Showa Era feel to them. “Kissatens” in Japan have been in business for a long period of time and so they have a very down to earth and comfortable atmosphere. Here, we are highlighting eight such “kissatens” in Tokyo. From the outside, it looks like a Showa, retro-style coffee shop. Upon entering, you can see the interior of the café has weathered. It has an atmosphere reminiscent of the Showa era, like you’ve just stepped back in time. Inside, is filled with Showa era ornaments and goods. 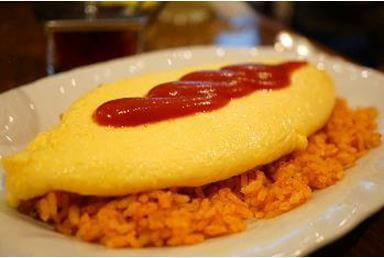 The highly recommended menu item is “Omu gohan” (rice omelet). The flavor of the rice is not ketchup but rather Japanese broth. The rice was mixed with beef, burdock, and enoki mushrooms, as well as a salty-sweet seasoning that tasted like shigureni. Time passes slowly and restfully at “Nanatsumori,” with its retro atmosphere. You can spend a happy time here surrounded by the shop’s gorgeous interior that makes it seem as if you’ve stepped back in time. “Sabouru” is a café we could say is a representative retro cafe. This 62 years historical café was established in 1955. The shop is multi-floored, first floor, semi basement and mezzanine inside. It is a little dark inside, but you can still enjoy reading books. 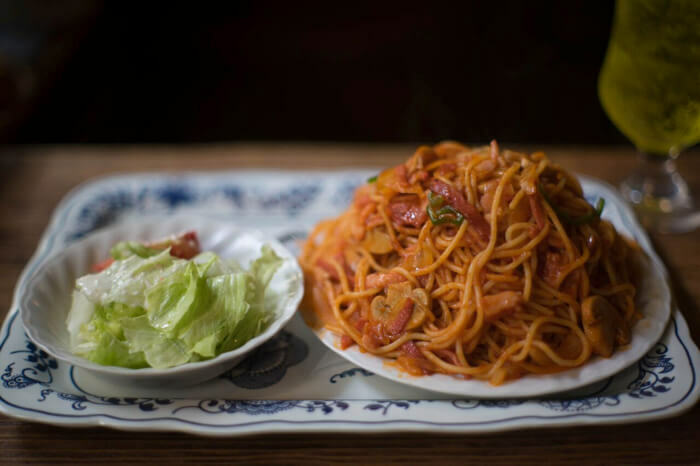 Sabouru’s most popular menu item is Spaghetti Neapolitan. It is cooked with many ingredients including mushrooms, onions and bacon. It is cooked quite simply with ketchup. 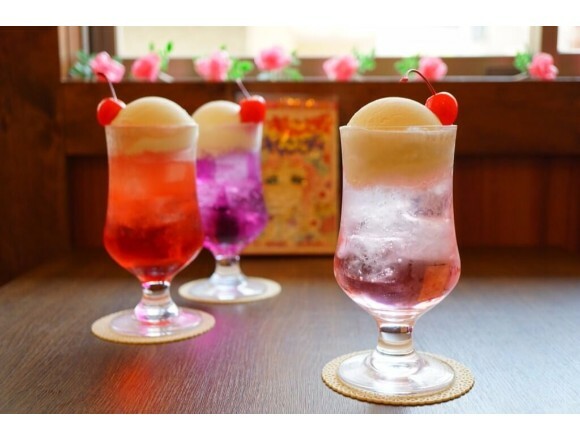 Detailed information:【Tokyo Stroll】The cafe that you want to visit to see someone #1 The popular cafe in Jinbo-cho called “Sabouru” that has retro interior and nostalgic food. 0 minutes’ walk from A7 exit of Jimbocho train station, Tokyo Metro Hanzomon Line. Here is a shop which displays items related to the 1970s and 1980’s pop idols. Many girls from all over Japan come here to get “drinkable jewelry.” It is a space which overflows with nostalgic items from this time. The most popular item on the menu here is their “drinkable jewelry” as known as “cream soda” which was everyone’s favorite food when they are little. 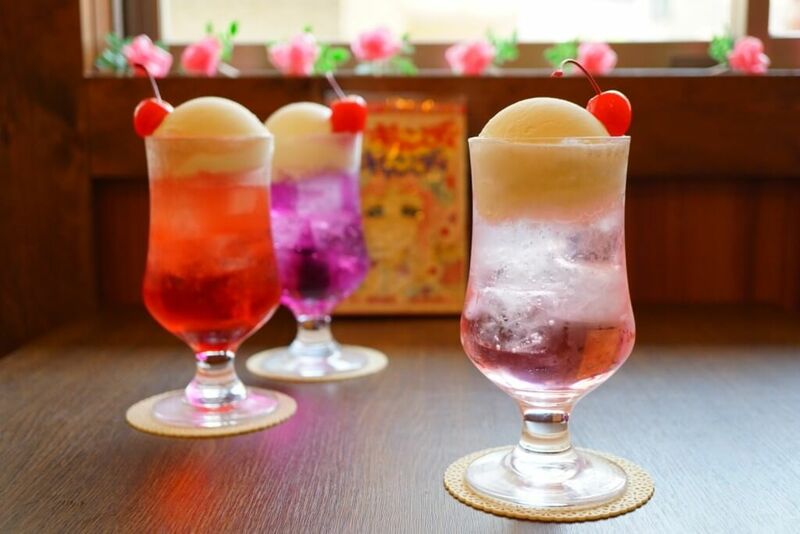 The standard color of cream soda is supposed to be green, but the ones in “Kissa Housekibako” appear in very girly colors. They are offered in cute and shiny spring colors. This shop is popular not only with Japanese guests but also with tourists from abroad. “Kissa You” which is located in Ginza, next to Kabukiza has been making kabuki actors’ stomach full for the last forty-seven years. “Kissa You” which is located next to Kabukiza is now a part of the Kabukiza scene. Many gourmet actors who crave for the food in this café are always waiting in line before the café opens. 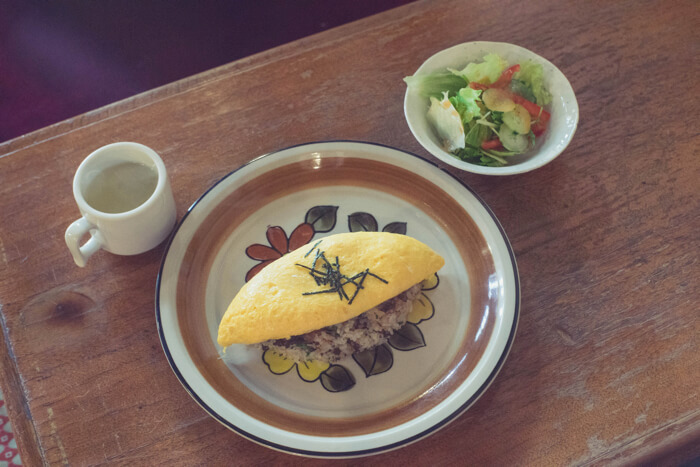 The main reason why most people come here is to order their “soft and melty omelet-rice” which represents Japanese food nowadays.